I’ve never been much of a fan of sacrificing comfort for less weight. Thankfully, you don’t always have to. 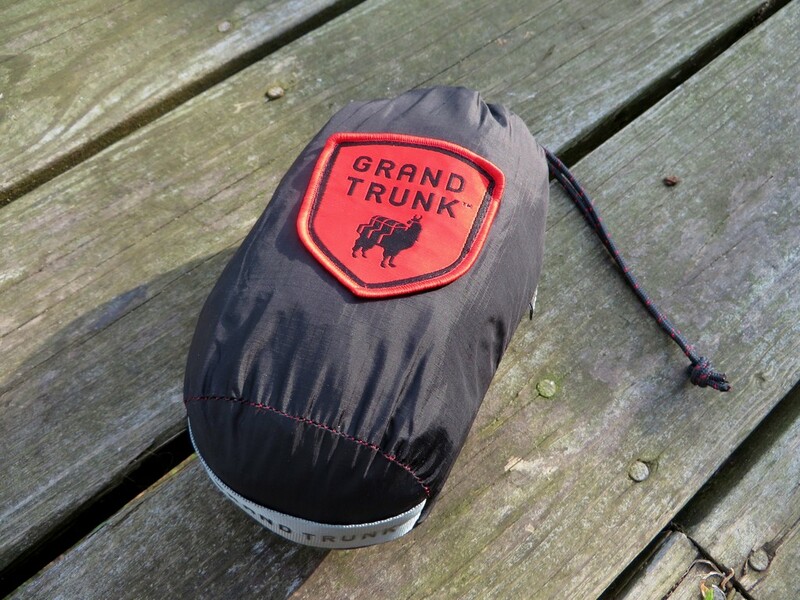 The Nano 7 Hammock from Grand Trunk is an exceptionally light weight way of improving the in camp experience, while also lightening the pack weight. 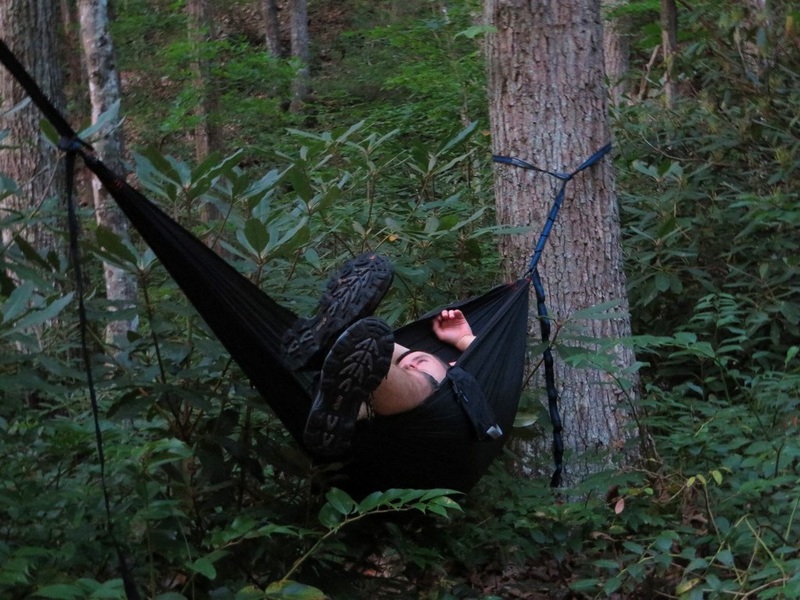 Constructed from an ultralight rip-stop nylon, the Nano 7 hammock weighs in at around 7 ounces. Two lightweight aluminum carabiners, situated at each end of the hammock provide quick and easy mounting and release, while a sewn in pocket provides a built-in stuff sack with cinch cord. The hammock retails for $69.99 and leaves the mounting method up to the user. The Nano 7 is tiny, and weighs practically nothing. Just 7 ounces and about the size of a brick, I was actually able to stuff the whole hammock into a single pocket in my backpack, or even into a cargo pocket of my pants. Even when I wasn’t hammock camping, I would always pack the Nano 7 along. At just 7 ounces, it’s hard to argue the added comfort in camp verses weight on the trail. 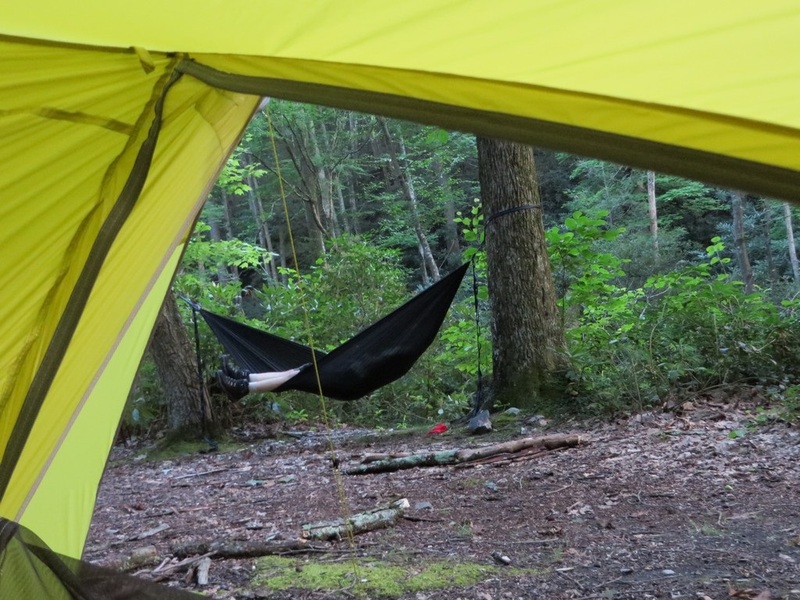 Speaking of comfort, despite being a smaller hammock (plenty of room inside for sleeping, however), the Nano 7 is actually one of the most comfortable hammocks I’ve tested. The silky smooth nylon feels great to the touch, making for a tactile sensation that made me want to wiggle around inside in glee. The smooth materials allowed me to move about easily, without dumping me into the bottom. The materials have a gentle stretch to them, and this reduces tension across the leg while hammocking at an angle (my preferred mode of sleep). Instead of a hard taut band cutting off the circulation to my lower extremities, the soft flexible material softly supported them instead, reducing pressure and improving comfort. This is typically a sore spot with nylon hammocks, and a welcomed improvement. Build quality is quite good. Consistent, quality stitch work is throughout the hammock. Triple stitches reinforce the ends of the hammock, creating additional strength in the high stress around the carabiners, and the nylon body is rip-stop nylon, so if any damage does occur it likely will not spread while in between repairs. The carabiners themselves are great quality, made from a light weight aluminum, clipping into place effortlessly while showing no signs of wear or fatigue throughout testing. It comes in two colors, and only costs $70 bucks, plus your mounting option. Not bad for the weight. With any ultralight, you’ll want to take care to avoid branches and bottoming out on rocks. A little TLC is recommended. There is little to not like with the Nano 7 hammock. it’s exceptionally comfortable, outperforming heftier and more expensive competitors thanks to the tension free sides and silky materials, and it vanishes into a backpack until it’s time for lounging. Setup is as simple as it gets with a simple clip in carabiner on each end, and It’s light enough to carry along on almost any trip. The next time I pack a hammock, it will most certainly be this hammock. 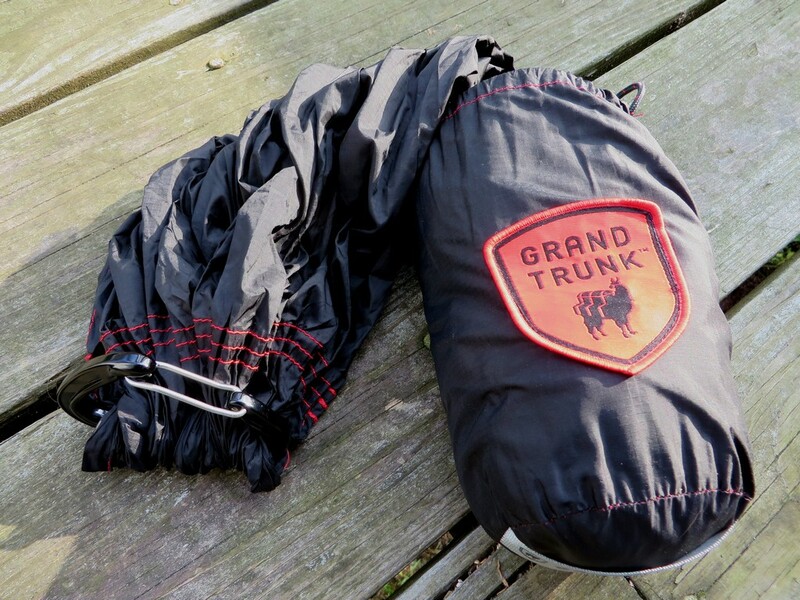 For more information on Grand Trunk and their equipment, check out GrandTrunk.com. For information on our rating system and our testing procedures, check out our About us/ Contact us page. I want to extend a big thanks to Grand Trunk for their support and for providing us this exceptional hammock for review. Our full disclosure can be found here.